The actor-comedian is producing a new show about a gender nonconforming YouTuber, but has used transphobic language online. 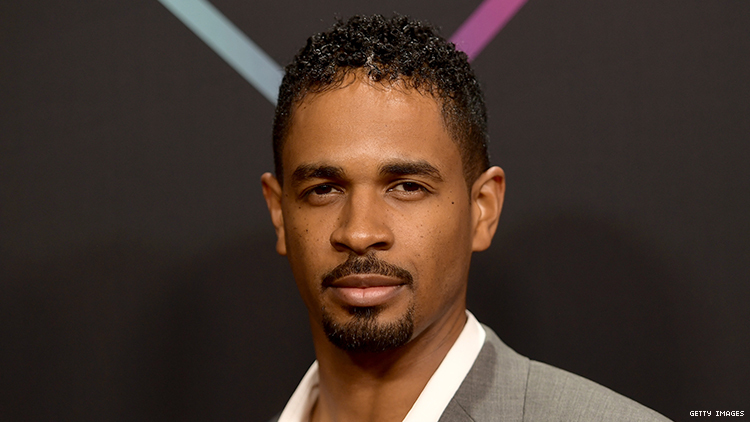 Damon Wayans Jr. is the executive producer of a potentially historic, new CW show centered on a gender nonconforming character, yet Out reports, the actor-comedian has a history of homophobic and anti-trans behavior on social media. The tweets were deleted after Out contacted Wayans’ representatives for comment. The CW announced last week a pilot order for Glamorous, a drama about a gender nonconforming high school graduate who lands an internship at a cosmetics company whose products they panned on YouTube. It comes from Wayans’ production company Two Shakes, which aims to center characters often on the margins, and is written by Jordon Nardino (Star Trek: Discovery, Quantico, Desperate Housewives). The network has a history of supporting LGBTQ+ storytelling. A Ruby Rose-led Batwoman is in the works, which will be the first time a superhero series is led by an openly queer character, and The CW also has television’s first transgender superhero played by a trans actress (Nicole Maines) on Supergirl. If Glamorous gets picked up, it would be historic for having a gender nonconforming lead — though no word yet on if a nonbinary or gender nonconforming actor will be cast. The CW did not respond to request for comment. The discovery of Wayans’ problematic tweets comes months after Kevin Hart refused to apologize, then apologized, for anti-gay messages from his past. The brouhaha caused Hart to step down as host of the Oscars. While the apparent subject of Glamorous and its potentially history-making nature is to be applauded, there’s been an industry-wide shift to hold accountable the people creating stories across margins, either as writers or producers. Words matter, whether said or tweeted almost 10 years ago or not, and they sometimes reflect deep-rooted attitudes about groups of people that could manifest themselves in one’s art. This is not to say Wayans or any other person who has expressed problematic thoughts in the past cannot grow — rather, it’s that we won’t know if there’s been growth if we don’t ask.